RIC is a leader in research for patients with spinal cord injury, stroke, neurological rehabilitation, outcomes research, bionic medicine/rehabilitation, engineering research and pediatric orthopedics. RIC operates its 182-bed flagship hospital downtown Chicago, as well as a network of 40 sites of care distributed throughout the Midwestern region, through which it delivers inpatient, day rehabilitation and outpatient services. Founded in 1954, RIC has been designated the “#1 Rehabilitation Hospital in America” by U.S.News & World Report every year since 1991. RIC sets the standard of care in the post acute market through its innovative applied research & discovery programs, particularly in the areas of neuroscience, bionic medicine and technology transfer. Thanks to a grant from Washington Square Health Foundation, RIC is breaking new ground in the treatment of Parkinson’s disease. RIC researchers have designed a smartphone application that helps to diagnose and monitor Parkinson’s, a degenerative disease of the nerve cells that affects more than 1.5 million Americans. Konrad Kording, PhD and Dr. Santiago Toledo are testing an application or “app” that utilizes the accelerometer, the movement sensor that enables you to play interactive games, to actually collect and chart the movements of Parkinson patients. 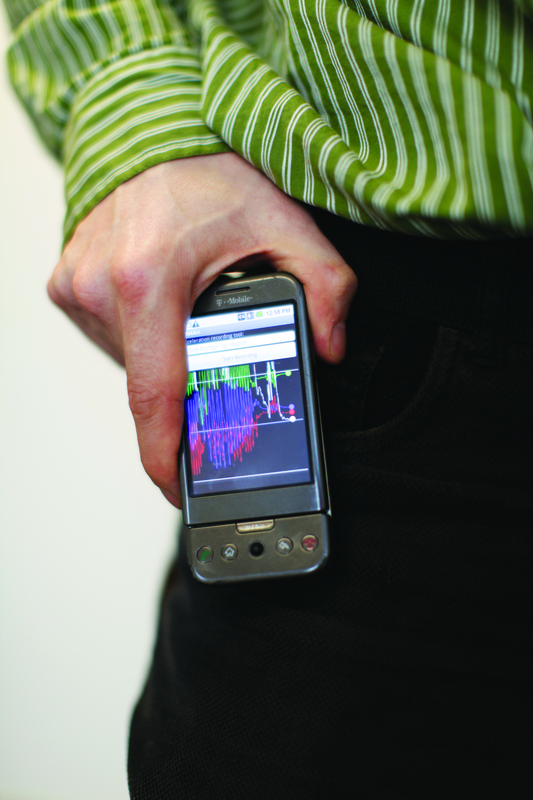 Following a brief app training regimen, patients simply carry the phone in their pocket with the app enabled allowing it to gather data throughout the day. Data is then uploaded and doctors can assess their movements including tremors, falls, etc… The team can then compare the data with the patient’s pill dosages and medication combinations to better understand whether or not their medications are working. Tracking and monitoring movement is a critical part of Parkinson’s therapy and up until now most patients were required to journal their activities on an hourly basis. 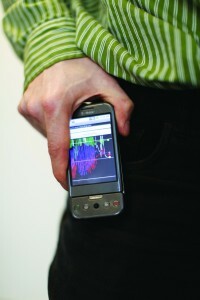 This smartphone app could help to alleviate this burden for the patient and result in much more accurate reporting. The study is ongoing and showing very positive results. Kording and Toledo hope to soon publish their study and results. Konrad Kording, Ph.D is a research scientist and director of the Bayseian Behavior Lab which uses data approaches to understand the brain. He uses ideas from economics to address problems of relevance to neuroscience and rehabilitation. Dr. Kording and his lab developed the specialized algorithms that track and analyze the data in the Parksinson’s Disease smart phone trial. Dr. Santiago Toledo specializes in internal medicine, physical medicine and rehabilitation and focuses on treating the geriatric population for a number of aging related conditions including Parkinson’s Disease, arthritis and musculoskeletal pain and dysfunction.